Primera Technology announced it has partnered with Intermec, a provider in RFID equipment and technology to create the RX900, an on-demand full color RFID label printer. The built-in RFID reader/encoder module is supplied by Intermec, and is compliant with EPC Global Gen 2 Class 1 and ISO 18000 –b and –c specifications. Labels are printed, encoded, verified and dispensed one at a time, and it supports most linear and 2D bar code symbologies. 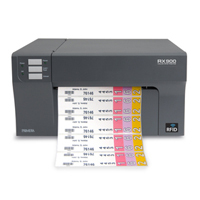 The RX900 features a full color print speed of up to 4.5″ per second and a print resolution up to 4800 dpi with separate cartridges for cyan, magenta, yellow and black ink. Supported substrates include matte and gloss inkjet papers, vinyl, polypropylene and polyester, and most RFID inlays can be integrated into labels. 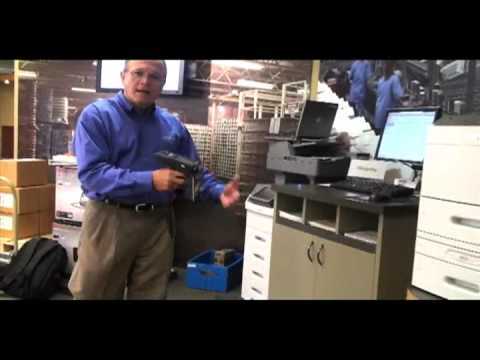 The RX900 Color RFID Printer will ship in November 2010. Pre-orders are now being accepted. Sample printed and encoded labels are available upon request for evaluation and pilot programs.